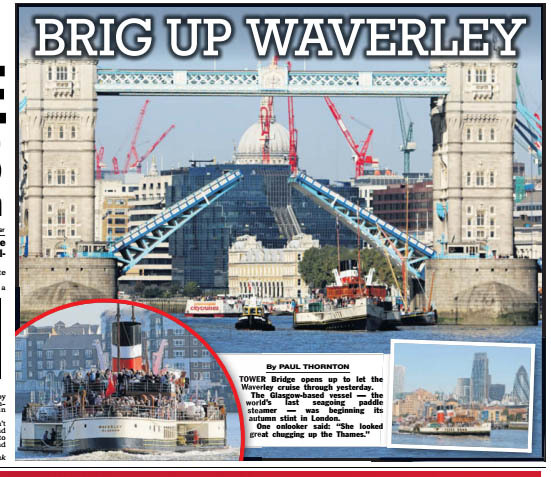 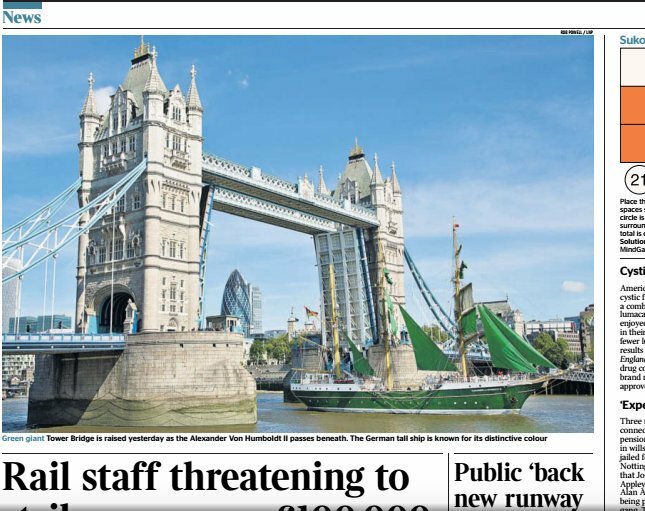 Some of the press cuttings for my maritime photography on the Thames (and a few other non-Thames related pictures I've had used). 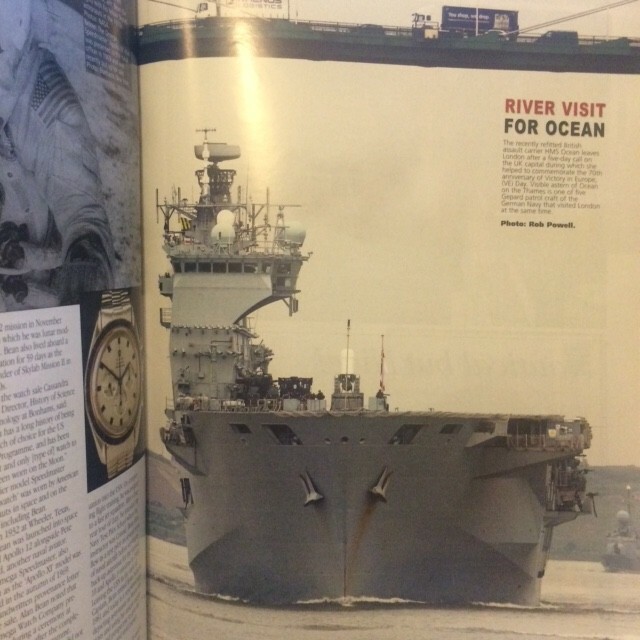 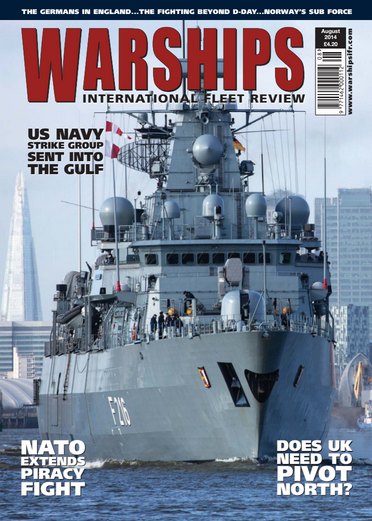 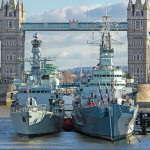 I'm also a regular photographic contributor to the excellent Warships IFR magazine. 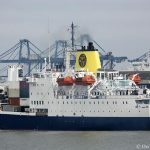 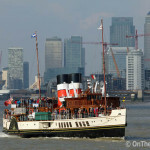 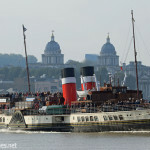 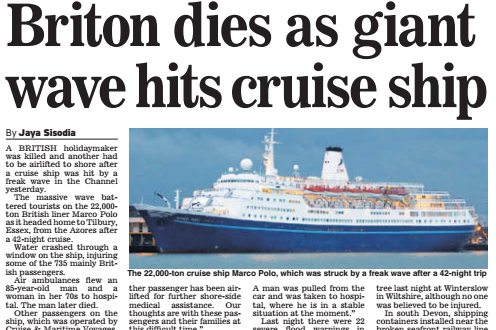 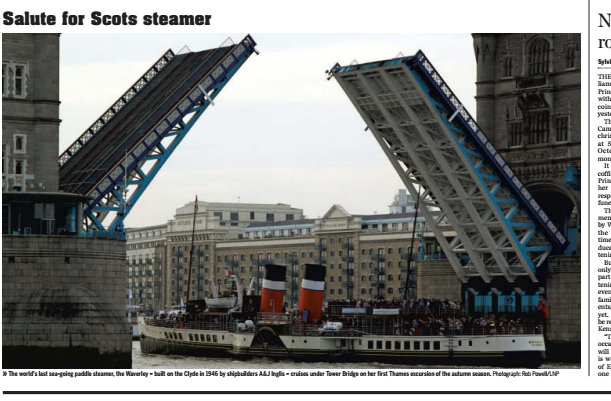 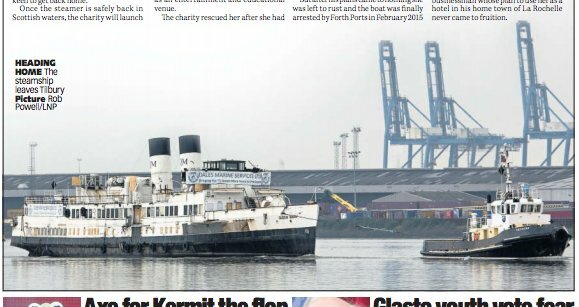 TS Queen Mary at Tilbury in the Sunday Mail, Scotland. 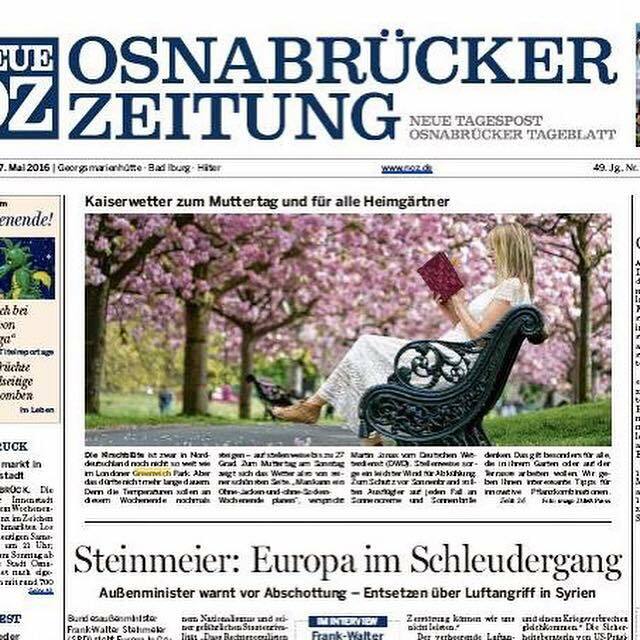 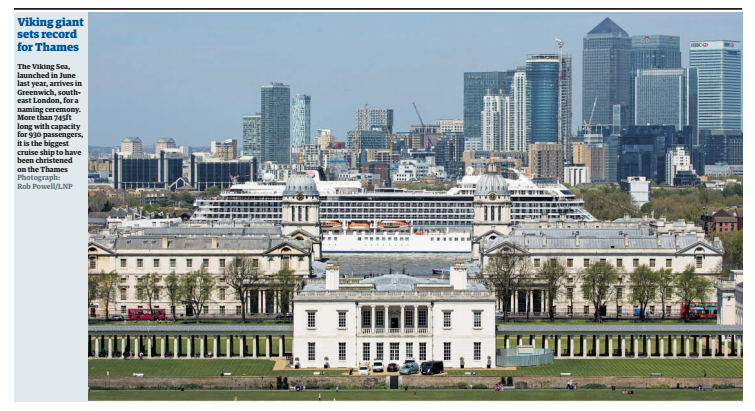 Greenwich Park in the German regional press. 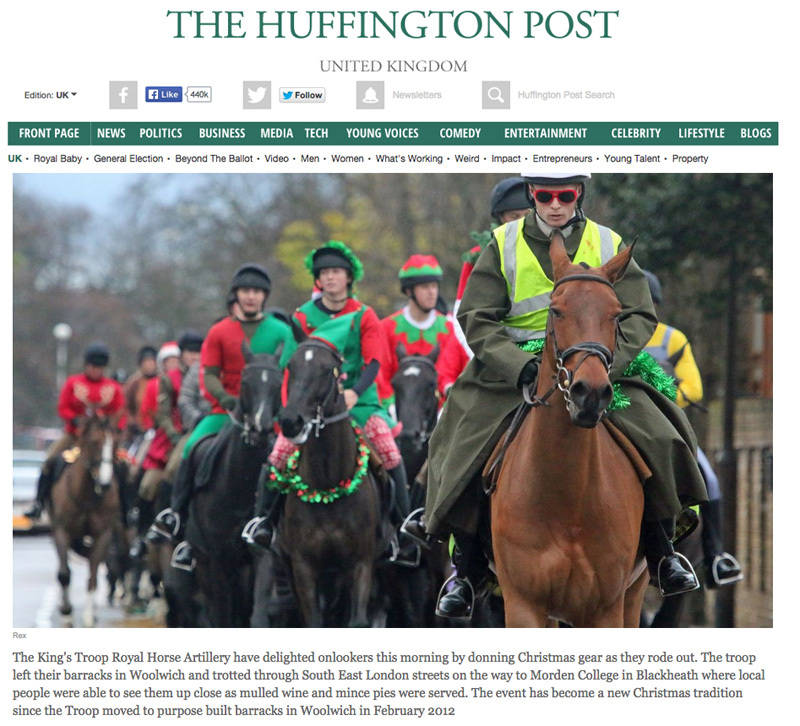 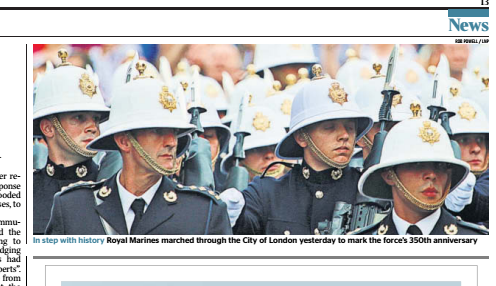 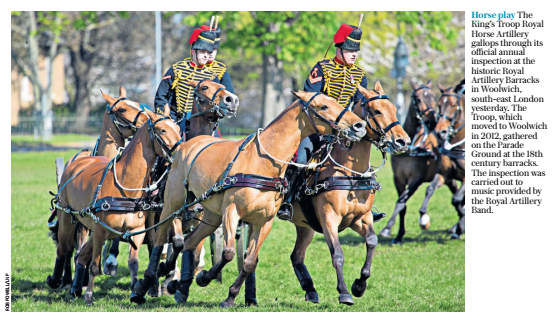 King's Troop annual inspection in the Daily Telegraph. 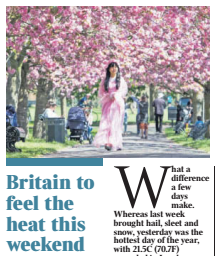 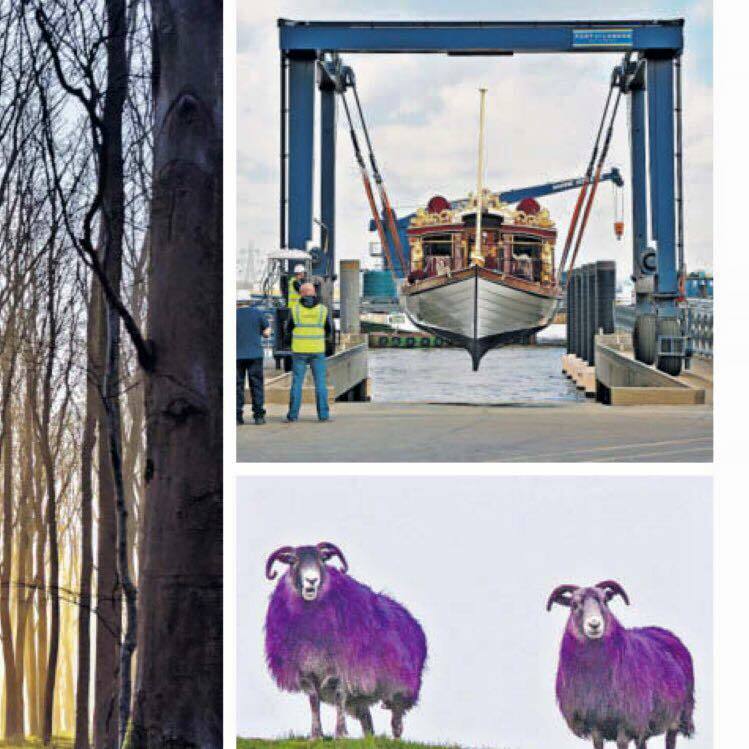 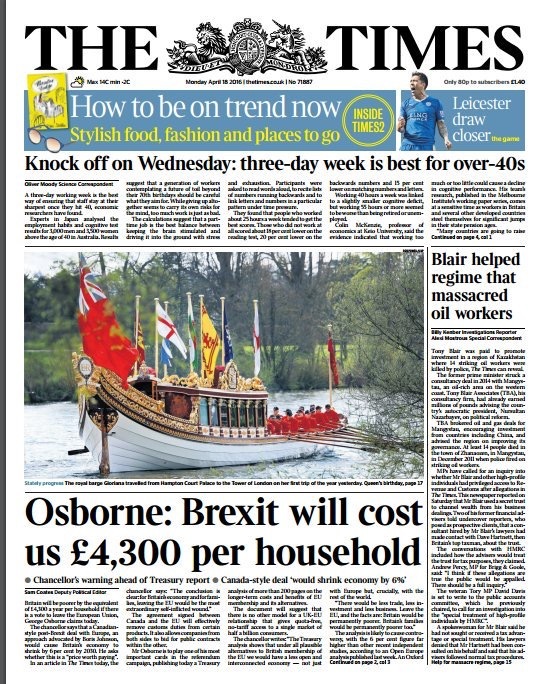 Gloriana in the Tudor Pull on the front page of The Times. 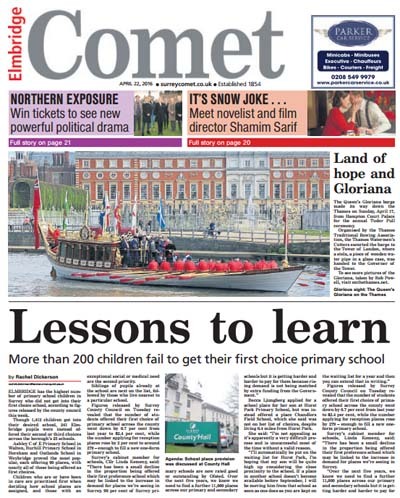 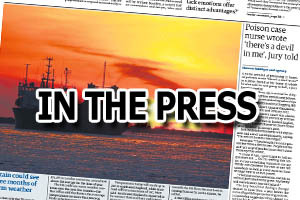 Gloriana on the front page of the Elmbridge edition of the Surrey Comet. 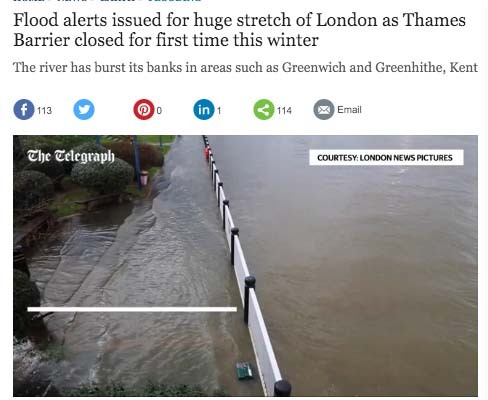 Thames Barrier closure video used by the Telegraph, Guardian and Daily Star. 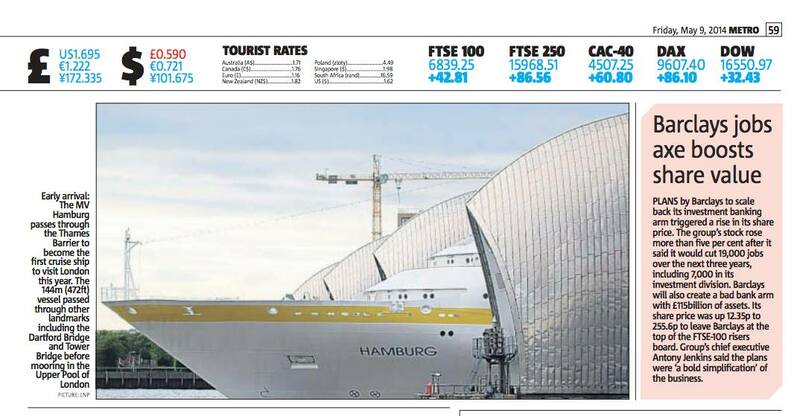 Used in the Mail, Express, Star, Guardian and Mirror. 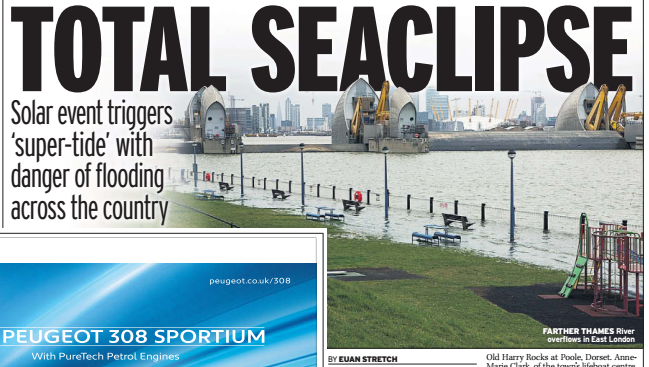 Used in the Daily Mail (Scottish edition) and Mail Online, Metro, Mirror online, Daily Star, AOL, BT Online, News Shopper and Kent Online. 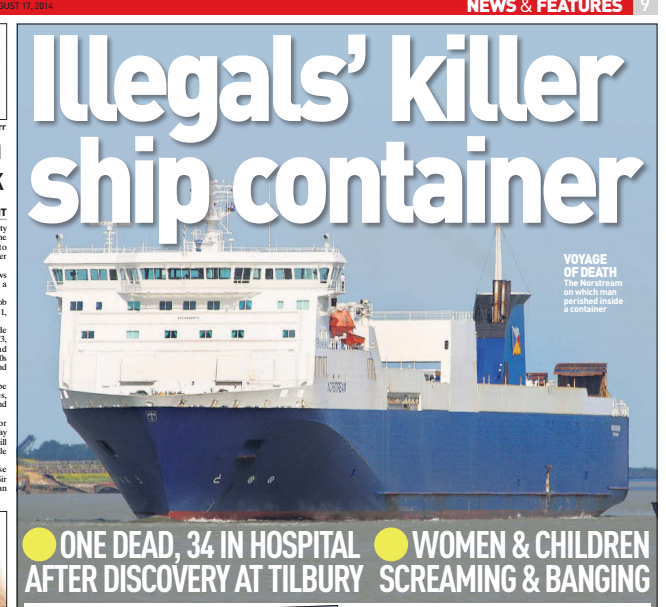 Used in the Sun, Mail Online, New York Daily News, Boat Intl. 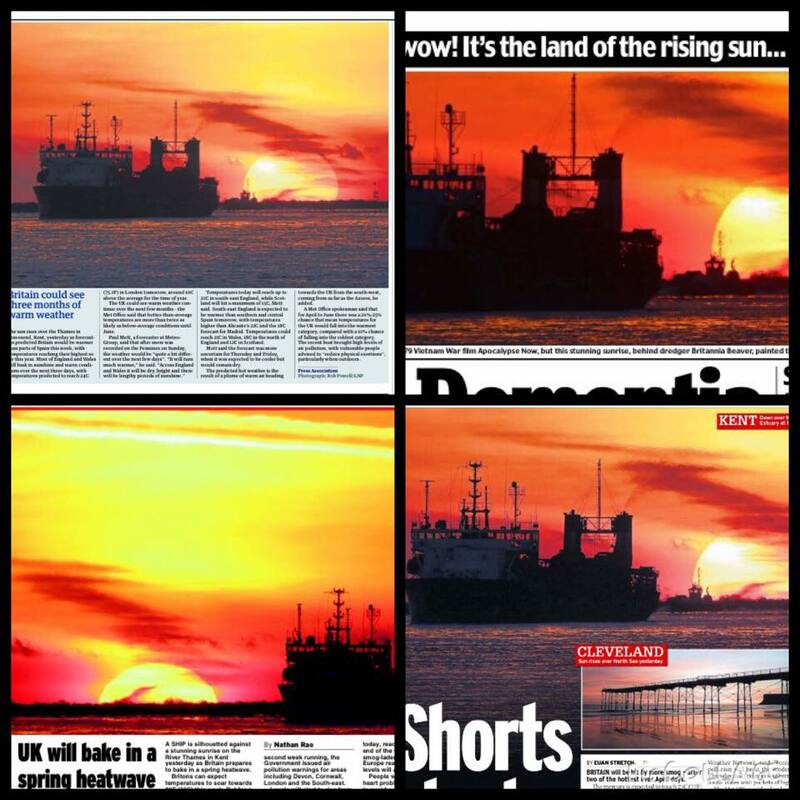 Used in the People, Sunday Times, Independent, Sunday Mail, De Standaard. 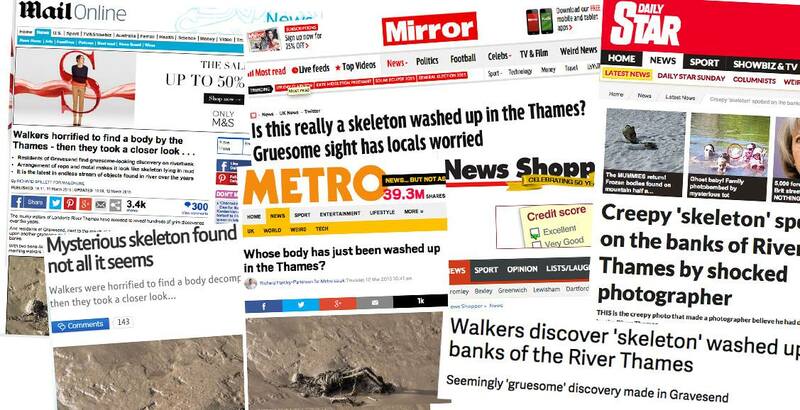 Used by Express, Mirror, Sun and more. 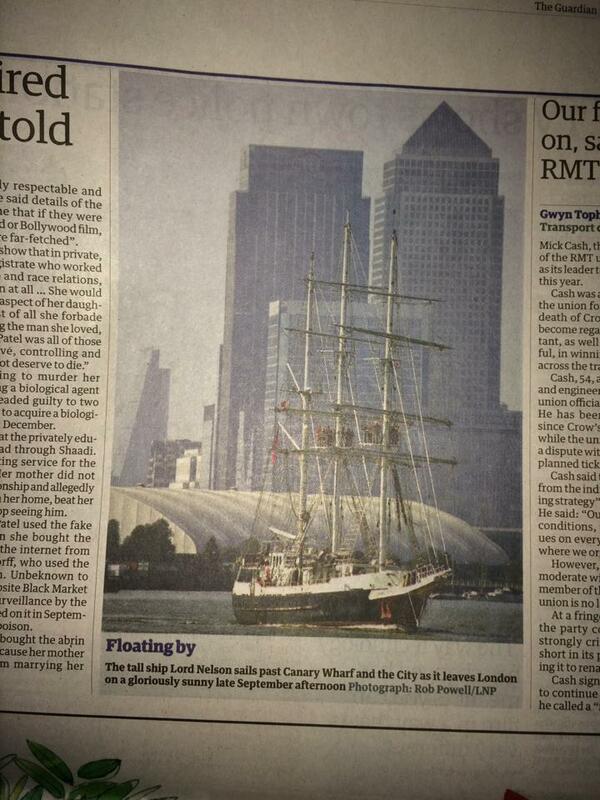 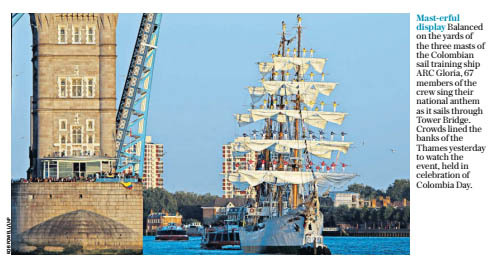 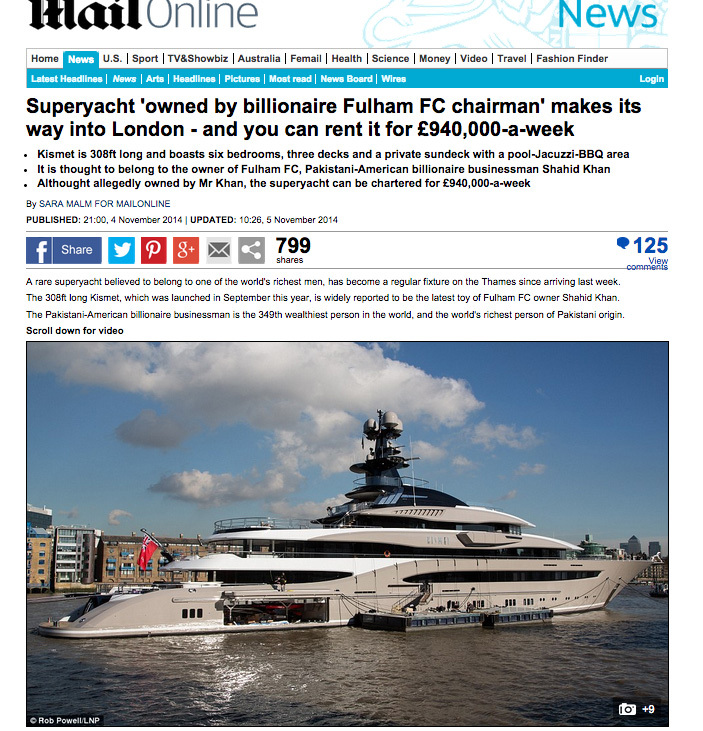 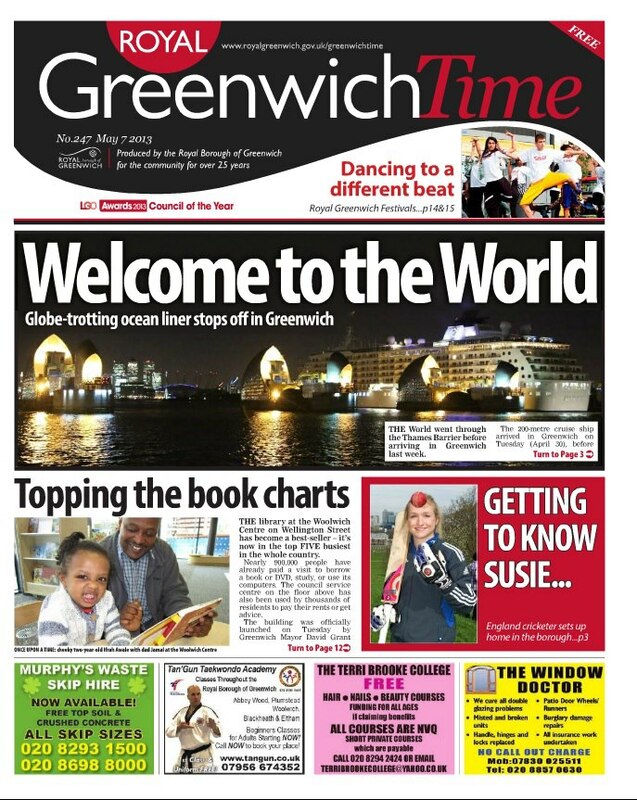 Used by Royal Greenwich Time local newspaper. 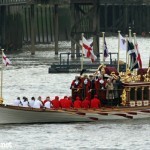 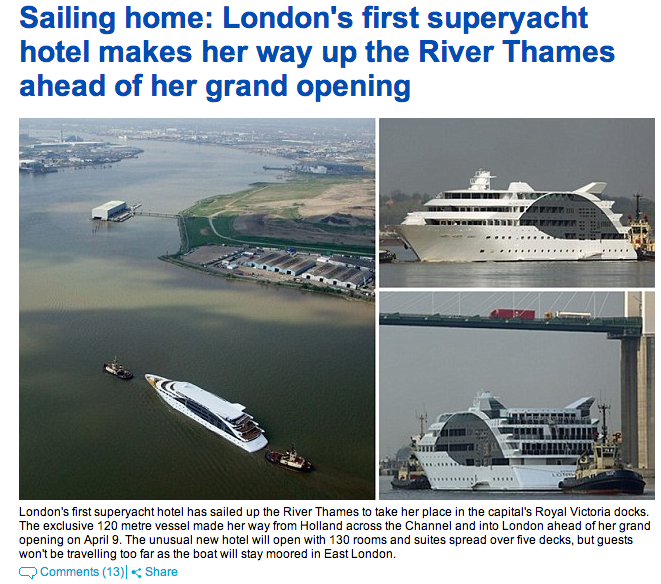 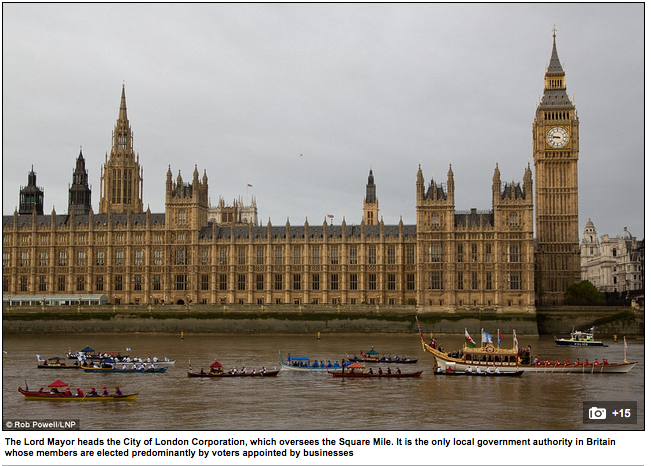 If you are involved with a newsworthy event or happening on the Thames, do feel free to get in touch with a heads up.